No matter what you did today on your phone or computer, it’s likely that social media was involved. Did you catch up with friends on Facebook, post photos of your dog on Instagram? Maybe a Twitter link brought you here. In the United States today, you’re statistically more likely to use social media than not — by a lot. Approximately 77 percent of all Americans have a social media profile of some kind. Despite the popularity of social media platforms and the rapidity with which they’ve inserted themselves into nearly all facets of our lives, there’s a remarkable lack of clear data about how they affect us personally: our behaviors, our social relationships, and our mental health. In many cases, the information that’s available isn’t pretty. 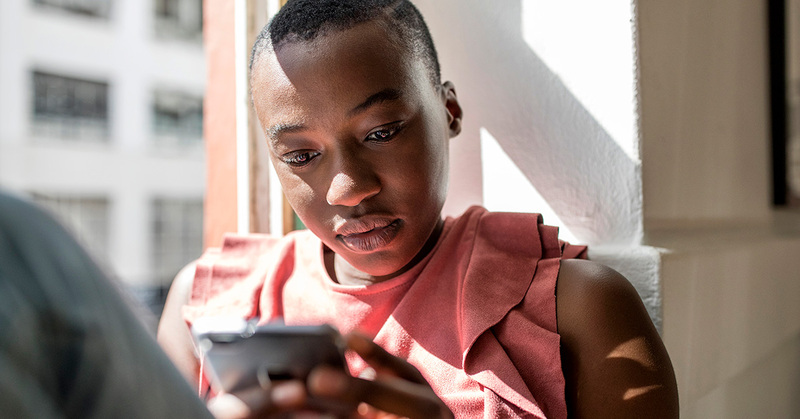 Studies have linked the use of social media to depression, anxiety, poorer sleep quality, lower self-esteem, inattention, and hyperactivity — often in teens and adolescents. However, these studies are almost entirely of an observational or correlational nature, meaning they don’t establish whether or not one is causing the other. A common argument against the theory that social media makes individuals more depressed and lonely is simply that perhaps those who are more depressed and lonely are more inclined to use social media as a way of reaching out. “Prior to this, all we could say was that there is an association between using social media and having poor outcomes with well-being,” she said. The researchers say this is the first time a causal link has ever been established in scientific research. The study included 143 students from the University of Pennsylvania. They were randomly assigned to one of two groups: one that would continue their social media habits as usual or one that would significantly limit access to social media. For three weeks, the experimental group had their social media use reduced to 30 minutes per day — 10 minutes on three different platforms (Facebook, Instagram, and Snapchat). In order to keep these experimental conditions, the researchers looked at phone usage data, which documented how much time was spent using each app per day. All of the study participants had to use iPhones. But why even let the experimental group use social media at all? “We didn’t think [complete abstinence] was an accurate representation of the landscape of the world that we live in today. Social media is around us in so many capacities,” Young said. The results were clear: The group that used less social media, even though it wasn’t completely eliminated, had better mental health outcomes. Baseline readings for participants were taken at the beginning of the trial in several areas of well-being: social support, fear of missing out, loneliness, anxiety, depression, self-esteem, autonomy, and self-acceptance. At the end of the trial, those in the experimental group saw both loneliness and depressive symptoms decline, with the largest changes happening in those who reported greater levels of depression. “No matter where they started off, if they were told to limit their social media, they had less depression, no matter what their initial levels were,” Young said. Meanwhile, both groups saw a decline in levels of anxiety and fear of missing out, which the researchers posit as potentially coming from users simply becoming more aware of their social media use by taking part in the trial. Even with an established causal link, there still remains a larger, unanswered question: Why? How could systems designed to bring us closer to our friends and family be bad for our mental health? Much like the algorithm that powers your Facebook feed, it’s complicated. Some general theories have come to the forefront, some obvious and some not so much. Ybarra has published pieces on the relationship between Facebook and certain mental health outcomes. He’s attempted to suss out the “why” of this relationship for himself. These constant “upward social comparisons” can happen hundreds of times each day, depending on how frequently you check your social media feeds. Fear of missing out, or FOMO, is another mental health effect that’s been strongly linked with the use of social media. Although a relatively new phrase often attributed to millennial ennui, psychologists say it has real social significance. She explains that FOMO is an extension of larger issues of inclusion and social standing. Once our basic needs are met, like food, shelter, and water, the need for inclusion and social interaction ranks right up there, she says. “The FOMO experience specifically is this feeling that I personally could have been there and I wasn’t. I do think that part of the reason that’s really powerful is this cue that maybe we’re not being included by people we have important social relationships with,” she told Healthline. The now ubiquitous use of social media and technology has created a world in which we can gaze into our own crystal ball to see what our friends are doing at almost any time of day. And that’s not necessarily a good thing. So, should we all just be using less social media? Maybe. But both Ybarra and Summerville say there isn’t enough research to set any kind of real guidelines. Nevertheless, what’s clear is that social media isn’t going away. If anything, this kind of technology will likely only grow more pervasive. Games like “Pokémon Go” changed the social atmosphere of what it means to play a video game. Apps like Strava have created a social network where users can share their fitness goals and routines. And LinkedIn has gone from a job-hunting platform to a full-on social network for the career-minded. “Given how available these technologies are and continue to become, they are just going to be part of how we interact with our world and with people. There’s definitely a lot of work to be done in this area,” Ybarra said. Social media use can harm your mental health, especially when it’s used more frequently. Setting limits and sticking to them can help minimize these effects.